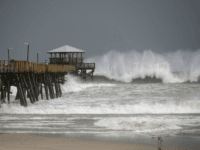 Heavy winds began lashing the east coast Thursday morning as meteorologists say the leading edge of Florence has arrived in North Carolina, with tropical storm-force winds carrying drenching bands of rainfall onto some beach communities. 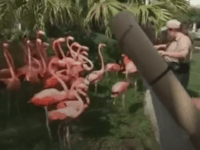 Workers at the Miami Zoo moved their famous pink flamingos to a concrete bunker for safety as 5.6 million people evacuated from Florida in advance of Hurricane Irma. 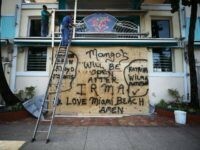 A Florida mayor issued mandatory evacuation orders for his beachfront community while calling Irma a “nuclear hurricane.” The Category 5 hurricane is expected to hit Florida on Sunday morning. 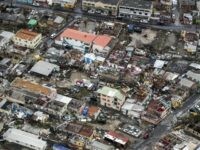 Hurricane Irma moved away from Puerto Rico Thursday morning leaving at least nine people dead in various Caribbean islands. 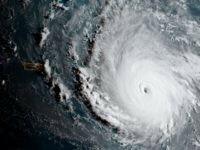 The Category 5 hurricane will skirt along just north of Cuba before it is predicted to slam into Florida early Sunday morning. 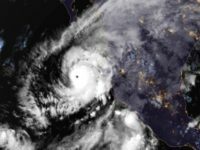 The National Hurricane Center (NHC) reports that a “potentially catastrophic” Hurricane Irma will strike the U.S. territory of Puerto Rico on Wednesday. Current predictions call for the storm to move on to Cuba and then possibly Florida by Sunday afternoon. 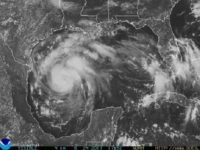 The National Hurricane Center (NHC) upgraded Hurricane Harvey to a Category 4 storm, moving it into the “major storm” classification. 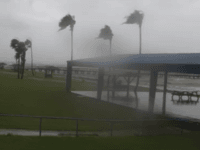 At 6 p.m. CDT, the NHC reported that Harvey’s achieved sustained winds of 130 mph — 130 to 156 mph is considered Cat 4. 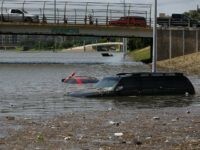 HOUSTON, TX — Parts of Texas may become inhabitable for weeks or months according to a Friday morning statement from the National Weather Service. 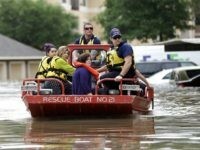 Hurricane-force winds and torrential rains expected to last for five days or more could cause parts of the Lone Star State to become unhabitable due to structure damage, lack of utilities and safe drinking water, and major flooding conditions, the National Weather Service wrote in an advisory late on Friday morning. 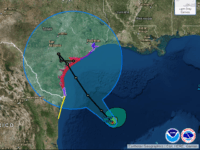 Hurricane Harvey is expected to cross the Texas shoreline late Friday evening or early Saturday morning–a major and potentially catastrophic Category 3 storm. 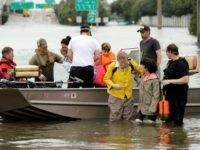 Weather officials warn of possible catastrophic rainfall as Hurricane Harvey bears down on the central Texas coast. 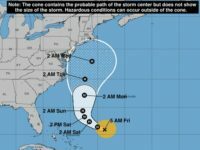 The storm is expected to be a Category 3 hurricane by the time it makes landfall Friday afternoon. 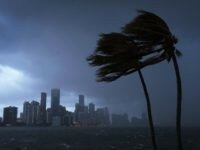 BATON ROUGE, Louisiana – Tropical Depression Nine, which is struggling to enter the Gulf of Mexico, is not expected to hit Louisiana, which is continuing to recover from recent floods and will instead impact Florida later this week.